As a forum for self-actualization of Accounting students, Himpunan Mahasiswa Jurusan Akuntansi (HMJA) has an interest and desire to train and improve the ability of Accounting students in the field of writing. 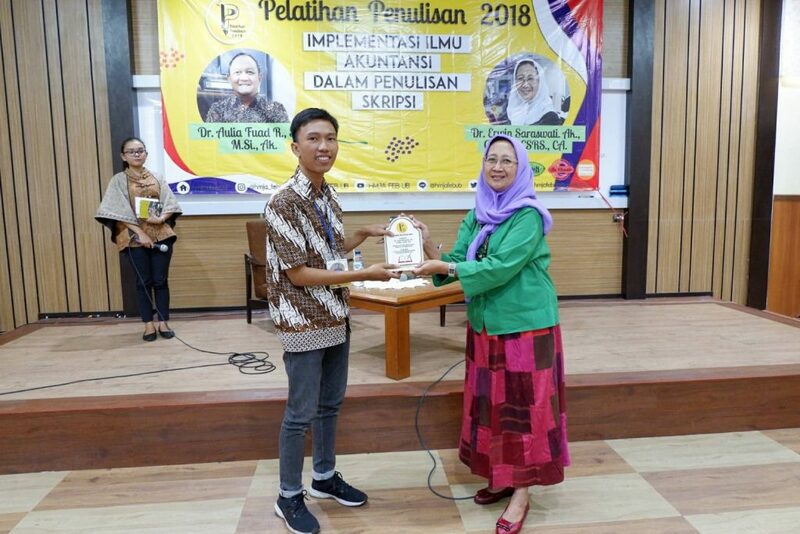 Therefore HMJA as a means of development of scholarship and scholarship of accounting students, want to facilitate all accounting students in the event called “Pelatihan Penulisan”. The discussion of this theme we lift because we see the difficulty for accounting students who will take the thesis in the appointment of topics in the field of accounting than that also for students of the early semester to be a provision in the future will be very helpful either the work of lectures or other tasks. 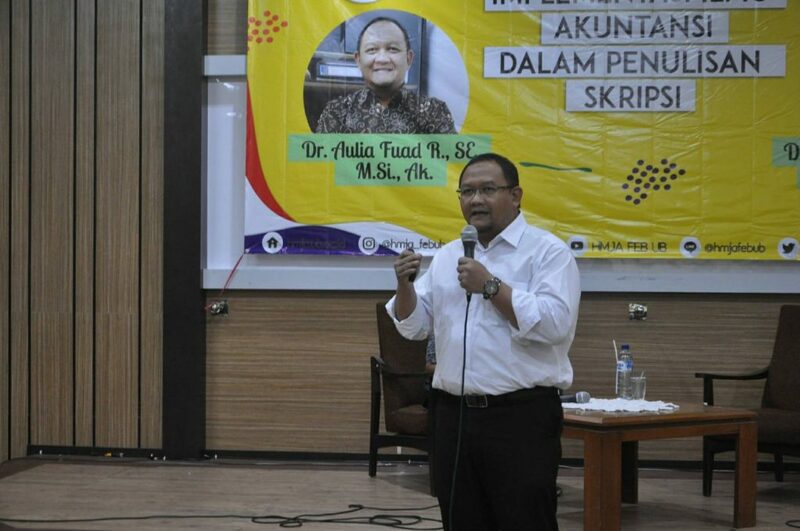 In this event we present two speakers from FEB UB lecturer, Mr. Aulia Fuad and Mrs. Erwin. In the first session of Mr. Aulia Fuad explained some general thesis writing problems that occur in the students, interesting material presentation makes students very enthusiastic in listening to material from him. Then followed by a second session by Mrs. Erwin describing topics that are currently very often raised to topics that are rarely raised in the thesis that is in the accounting environment. In this second session, the form of the activity is an interactive discussion. So the speaker gives as many opportunities to the students to discuss the topics or issues that are being loved in the accounting environment. This activity was attended by 76 students from Accounting majors, all of whom participated in this activity with passion until the end of the event. This event was held on Monday, May 14th, 2018 which is held in Auditorium of Faculty of Economics and Business Universitas Brawijaya (FEB UB) .This writing exercise of 2018 runs according to rundown although there is a slight delay at the beginning of the event, in Q & A session can fill quota of queries that is 3 questions and even more than 3 questions submitted in each session.